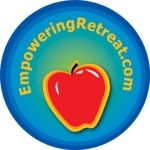 EmpoweringRetreat.com is where you can find empowering tools for your body, mind, and spirit -- including articles, tools, resources, and advice for happy, healthy living. Wellness -- including health, medical, and vitality resources. Fitness -- including exercise resources for the body and the brain. Nutrition -- including healthy eating, diet, and recipe resources. Spirituality -- including resources for refreshing and inspiring your spirit, faith, and religion. Balance -- including time-management and occupational resources for healthy work and life. Serenity -- including stress reduction, self-esteem, and emotional and mental health resources. Environment -- including resources for green living and protecting the Earth. Search Our Site -- find the resources you need quickly by using our custom search engine for EmpoweringRetreat.com, EmpoweringParks.com, and the Sanctuary Blog archives. EmpoweringRetreat.com founder Dr. Randall S. Hansen quoted in a New York Times article on detox diets: Flush Those Toxins! Eh, Not So Fast.